One of my most favorite times of the year is here: gardening time! As per usual, Jimmy and I planted our garden on Memorial Day. This seems to be a safe planting time frost-wise for the Pittsburgh area. 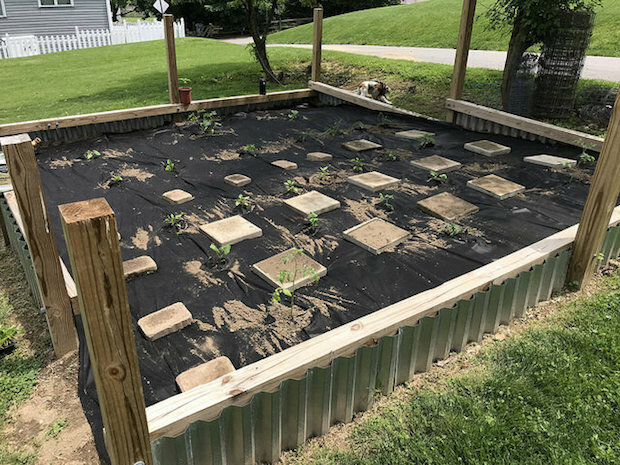 A few days before planting, the garden was weeded, tilled, and compost was added. 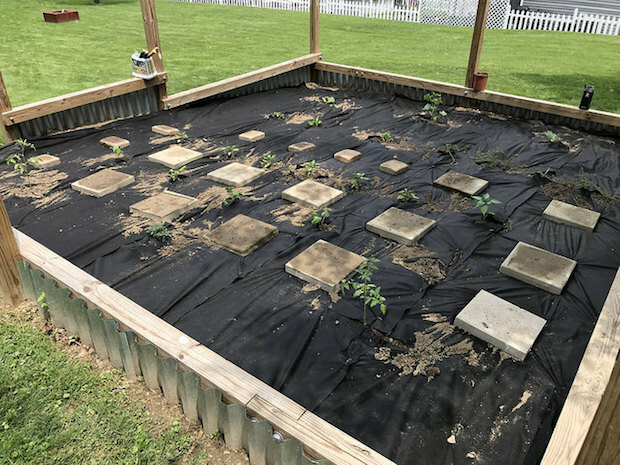 We then picked out our seedlings, put down landscaping fabric, and planted! 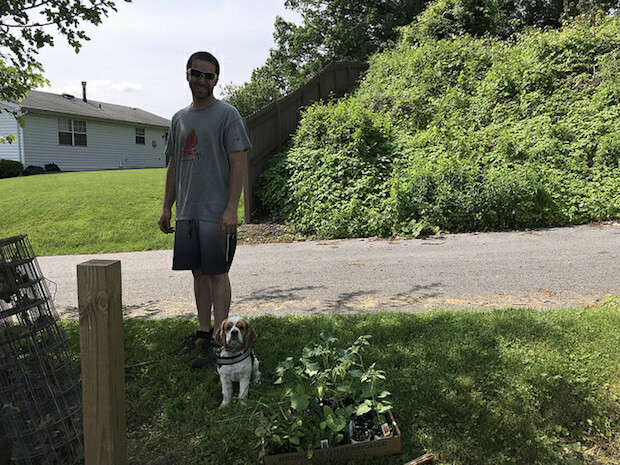 We added some bamboo stakes for the green beans and peppers after I took this picture, and will put in tomato cages once the plants mature a little more. We put down some small animal repellant after we noticed the damage to the green beans and swiss chard in hopes that we don’t fully lose any of our plants. I’ll be sure to post some updates on the garden as the season goes on! This is our second year using landscaping fabric to prevent weeds, and so far so good! 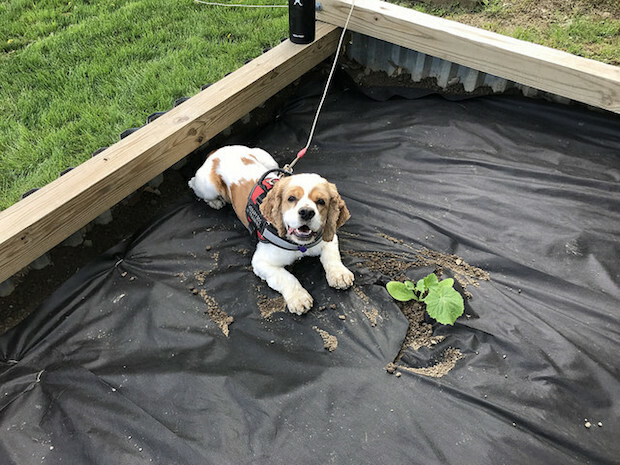 If we hadn’t figured out this little trick, we definitely wouldn’t have been able to keep up with weeding and all the other projects we have around the house. Landscaping fabric is truly a game changer and I highly recommend it. I think that’s all for our first gardening post of 2018. Yay! I can’t wait to start harvesting vegetables. Do you like to garden? I am amazed by you two!!!! You are so talented in so many ways. Cannot wait to see how it all turns out. I have never tried to garden, but I would like to someday. And favorite veggie- gosh that’s hard but I’d have to say sweet potato! Ally that is not a garden that’s a mini farm!! Haha but seriously I’m so impressed by your gardening skills already. Since we live in an apartment, there’s no space to garden. My basil plant it going strong though woohoo! Hmm..I think my favorite veggie is potato. You can do so many things with them! Your comment totally made my day, Maureen!! I’m glad your basil plant is going strong!! I hope you get to enjoy lots of recipes using it! I love potatoes, too! So versatile and delicious! 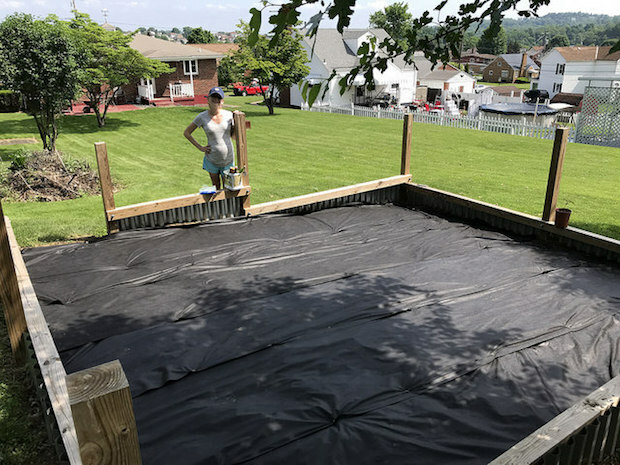 We’ve used landscaping fabric to combat weeds too! Totally a game changer! Also I love that you guys love gardening so much that you have such a big garden even with a baby on the way!